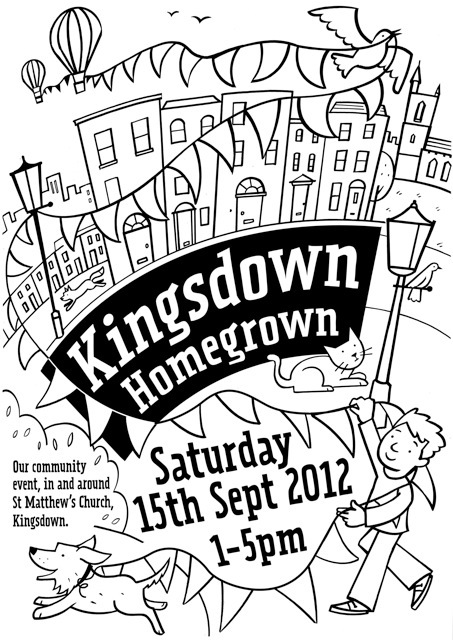 The Kingsdown Homegrown is now in its 6th Year. We hope to have a very jolly day with a programme which is very traditionally British to celebrate the Queen’s Jubilee and the London Olympics. 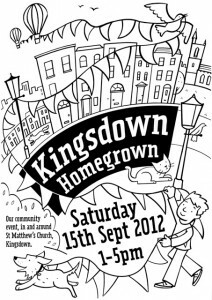 It will be held in the afternoon of Saturday 15th September, as usual in and around St Matthews. We will be hoping for some extra specially nice weather so we can all enjoy joining in the Kingsdown Olympics, with such races as the 3 legged and egg and spoon ( or whatever games our coaches decide upon ) Then later on we can listen to local musicians while we relax with more food and drinks. We need stall holders and help on the day as well as everyone to turn up and support us.